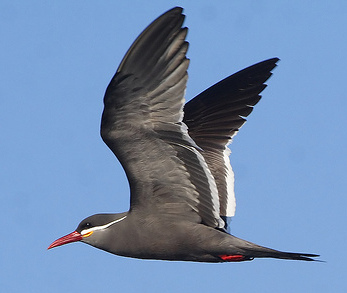 Larosterna is a fairly large tern breeding along the coasts of the Humboldt stream. It is quite a beautiful creature wearing a stylish snow-white mustache (really! ), grey coat and black hat fashionably accompanied by red accents. Photo taken by Pablo Carcares in Valparaiso, Chile.